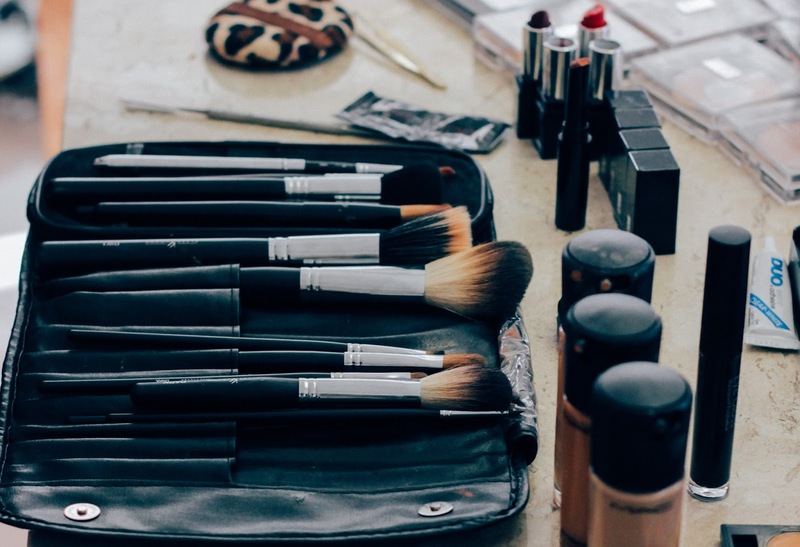 As Told By Holly: How cruelty free is my makeup bag? How cruelty free is my makeup bag? Something I've been thinking about a lot recently is the idea of going cruelty free. I've always loved animals and been appalled by animal testing, but I'll be honest and say I've never actively taken steps to stop buying products from brands that continue to test on animals. It's easy to fall into a routine of buying the same products that you've always been used to, but that's something I'd like to change and I thought it would be interesting to document my progress! Eventually I would like to be a 100% cruelty free shopper, including household chemicals and other such products, but for now I'm going to concentrate on makeup and toiletries because I think that's where I can make the biggest change. Before I can start making any substitutions, I need to know which of the brands I already use practice animal testing. So, the first step I've taken is to make a list of the products I use day to day and group them into brands, then research each brand individually to find out how cruelty free I am already. First up, my make up bag. I use the same products most days and only really change it up for special occasions - no massive lipstick collection here! Here's what I found, brand by brand. Unfortunately, Bobbi Brown is not a cruelty free brand - they do not test or ask anyone to test for them, except where required by law. Bobbi Brown cosmetics are currently available in China, where animal testing is mandatory for all foreign cosmetics companies. I use ths concealer like it's going out of fashion so I'm very happy to learn that they are a cruelty free brand! Their website states that they never have and never will conduct any animal testing on any products - the use of animal testing for cosmetic products and their ingredients is banned in the UK and all EU member states and Collection Cosmetics are not sold in China. The websites for Eylure and their parent company, Original Additions, did not offer much information about their stance on animal testing. Looking around online, I found this post on Cruelty Free Blog with a response the writer had received from Eylure. Although they state there that they do not permit and/or commission any animal testing of products and/or ingredients and do not currently have distributors in China, I struggled to find any more recent information so I also sent an email to Original Additions. I'm waiting for a response and I'll report back, but for now I'm happy to keep them in rotation on the assumption that their position hasn't changed. I think L'Oreal are a pretty shady brand for lots of reasons, and unfortunately they are not cruelty free as they are available in China. The True Match foundation isn't my favourite anyway - it can be quite drying on my skin, and they don't have a shade that suits me perfectly, so I'll happily wave goodbye to them. As a L'Oreal owned company, unfortunately Garnier are not cruelty free. The MAC website is a little unclear, simply saying that some governments conduct animal testing to prove safety before they will allow the sale of their products. However, MAC Cosmetics are currently sold in China, making them a non-cruelty free brand. I couldn't find a specific brand statement for Natural Collection, however as a Boots own brand I believe they are cruelty free. The Boots website acknowledges that it is illegal to test on animals in Europe and outlines their no animal testing policy, including the comissioning of tests on their behalf. As far as I could find out online, Boots currently only have a pharmaceutical presence in China - but I'll be keeping an eye out for any changes here. This is what I currently have in my makeup bag for occassions when I want to use an actual foundation instead of a tinted moisturiser. I'm not particularly attached to it, which is just as well as Rimmel are also not 100% cruelty free. They state they are against animal testing but recognise that some ingredients are tested to meet government requirements. In their FAQ section, Soap and Glory state that they 'absolutely do not test our formulations on animals, however we can't say that each and every ingredient that goes into them has not, at some point historically, been cleared for human use, by animal testing.' After reading through this a few times, what I take away is that they can't guarantee that the ingredients they use have never been tested on animals - it's likely that a lot of the stuff in cosmetics was tested this way before it was made illegal. That's just how I interpreted it, and I'd be interested to know if anyone has any other thoughts. However, Soap and Glory products are not sold in China and the company has recently been bought by Boots, who are cruelty free and committed to ending animal testing as mentioned above. So for now, I'm happy to keep them around. Of the 12 products I've mentioned, 6 are cruelty free. To say it's something I never gave much thought to, I'm pretty happy with that! But I'll definitely be making changes in the other areas. Some of the problematic products I'm not a fan of anyway - particularly the Rimmel and L'Oreal foundations, so I'll happily try out alternatives, and I already have some in mind. My only major concern here is finding something to replace the Garnier BB cream, as I don't tend to wear anything heavier for work days. Please send your recommendations my way!